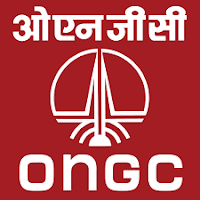 Oil and Natural Gas Corporation Limited (ONGC) has published notification for the recruitment of 417 AEE, Chemist, Geologist, Geophysicist, Materials Management Officer, Programming Officer vacancies.Here is all Information about ONGC Recruitment Details like How to Apply,Exam,Age,Qualification and all Details. 28 years for General, 31 years for OBC and 33 years for SC/ ST and Ex Serviceman candidates for AEE (Drilling/ Cementing) Posts and 30 years for General, 33 years for OBC and 35 years for SC/ ST and Ex Serviceman candidates for All Other Posts Except AEE (Drilling/ Cementing). Relaxation of age will be applicable to Departmental candidates as per rules. Candidates should possess Graduation Degree in Mechanical Engineering/ Petroleum Engineering/ Mechanical Engineering/ Electrical Engineering/ Electronics Engineering/ Telecom Engineering/ E&T Engineering/ Physics with Electronics for Sl No. 01 (a to g), Graduation Degree in Instrumentation Engineering/ Mechanical Engineering/ Petroleum Engineering/ Applied Petroleum Engineering/ Chemical Engineering for Sl No. 01 (h to l) with minimum 60% marks. Other qualification details refer the notification. 6. Now take a print out of on line application for future use. The 2018 Aston Martin Vantage comes with a multitude of standard features like the adaptive suspension, parking assist and a dozen paint and interior options.